Join us for a reading from Acquaintance, the first book in the Medicine for the Blues historical fiction series. Acquaintance follows the budding relationship of Carl, a young doctor and Great War veteran, and Jimmy, a jazz musician trying to live his dreams, while staying off the Ku Klux Klan’s radar. 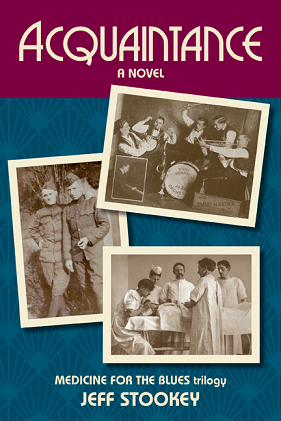 More than a gay love story, Acquaintance is a deep dive into gay and lesbian history based on extensive period research of the 1920s.